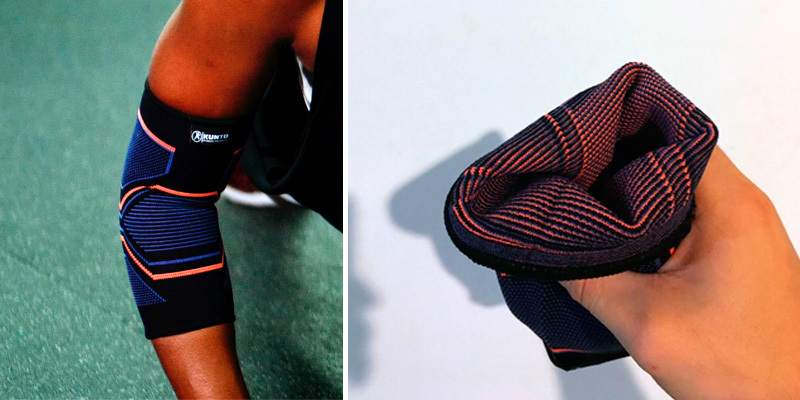 Thanks to the addition of copper nylon, the sleeve has biocide-like capabilities, which helps in killing harmful germs that can appear alongside sweat during the workout. On top of that, the material removes the sweat odor that usually appears after wearing the brace. The velcros tend to lose their grip over time. This functional kit includes both elastic elbow sleeve and elbow brace, which not only aids in preventing possible physical traumas but also reduces the load on the arm and forearm muscles. Although it is recommended for tennis players, it can be used by weightlifters as well. A great combination of nylon and spandex elements implemented in this model make it highly elastic and durable at the same time. Thanks to a great variety of sizes you will be able to pick the one that fits your arm like a glove. The bright elements require thorough washing after being used. 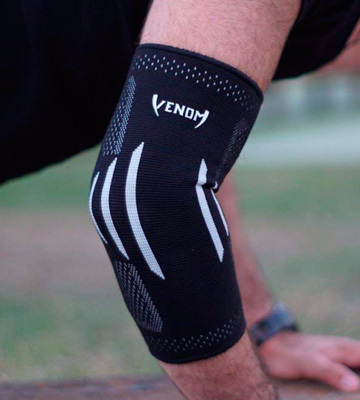 The Venom Sports Fitness compression sleeve was designed specifically for athletes that suffer from physical traumas such as tendonitis. 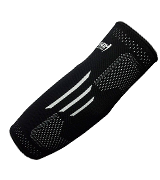 Thanks to the thin fabric, this particular brace can be worn under regular clothing without causing discomfort. The elbow area of the sleeve is reinforced by rubber fibers making it extremely durable and wear-resistant compared to other similar models. 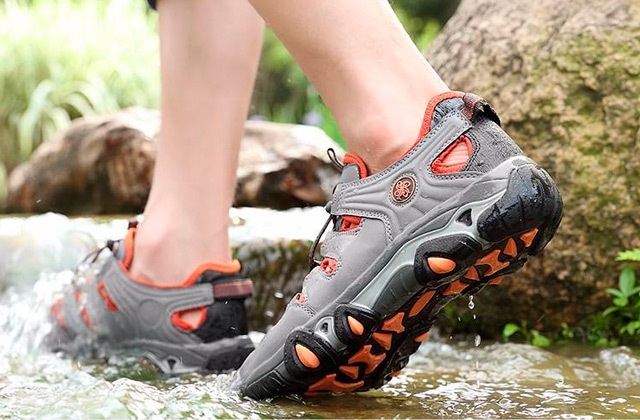 What is more, they are quite light, which is perfect for active kinds of sports. The fabric is rather thick which can cause your arm to sweat more. If you are looking for the ultimate workout sleeve that protects both your elbow and forearm muscles and joints, then this model from Kunto will be your go-to pick. By being light and flexible, it still provides enough compression to make blood circulation natural. The base and stitching of the sleeve are made of latex yarn that excludes the risk of your skin getting damp from sweating during intense workouts and training sessions. Additionally, the material is quite breathable, making it easier to wear in hot temperatures. The sleeve might roll down your arm if not fixed properly. If you are a regular client of a local gym or in case you are serious about your weightlifting hobby this kit will be an ideal choice for you. 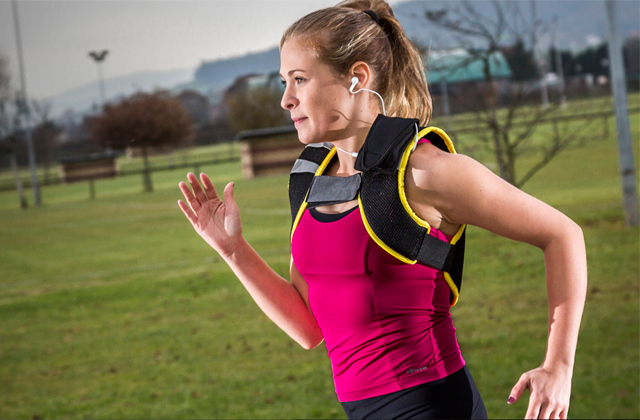 These subtle yet effective pieces of sports equipment reduce the muscle strain both during and after the workout. This universal kit includes two braces that can be adjusted in size from 7" to 14". On top of that, they can be machine washed without worrying about wearing out the materials. Has a strong chemical odor (goes away after the first wash). 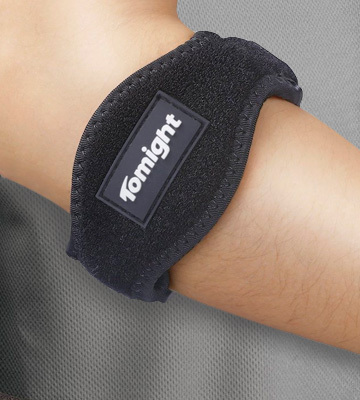 This model from Tomight is equipped with special EVA foam padding, which will provide a firm compression to your forearm, elbow or wrist muscles and joints. 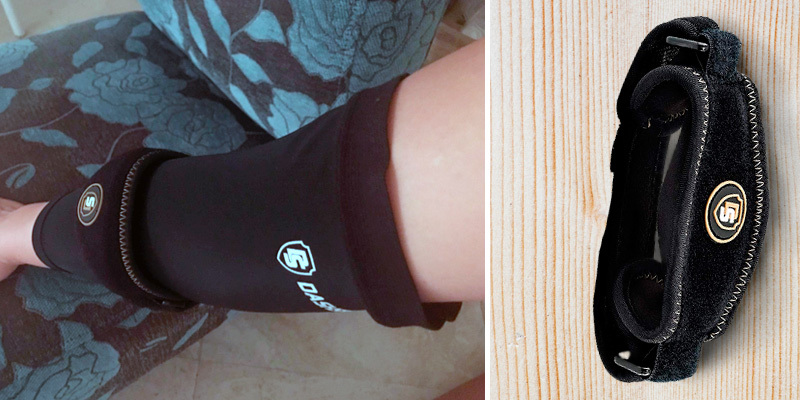 Small yet useful, it will aid in preventing possible injuries that are common for intense workouts. Advertised as an Original tennis system, the braces from DashSport are much more than that, and this particular model is no exception. And to show that we will have to break down the subtle, yet unique features of this accessory. 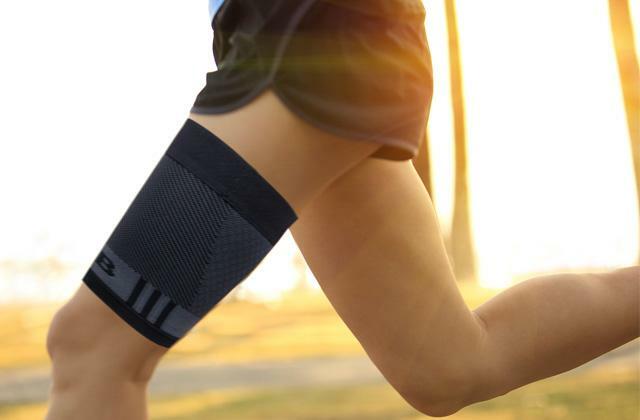 First things first, the compression band can be worn throughout the day without any discomfort given that you have picked the right size of your brace. 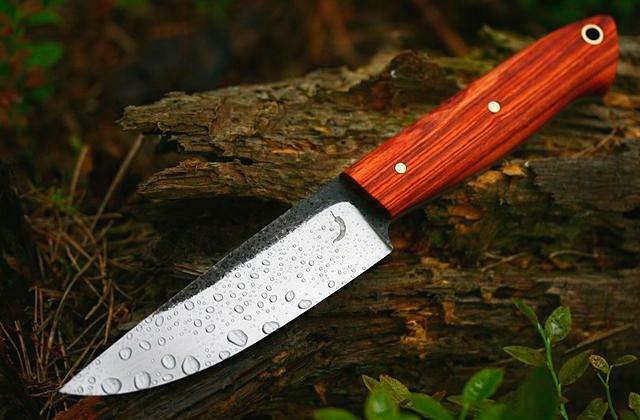 The sizes vary from extra small to extra large with length from 9” to 16.5”, respectively. This variety allows you to pick the support brace that will fit your arm ideally. The only gripe, however, is that in case your arms are rather small you will have to use additional means to fix the sleeve in place. Thankfully, the top band of the sleeve features an additional rubber piece that prevents the brace from sliding down your arm, which is quite practical especially if your training sessions are filled with action. On top of that, the band is supplied with velcro tapes that will come in handy for extra tight grip over your arm and elbow. What makes this model truly special, though, is the addition of copper nylon that reliefs muscle and joint pain more effectively than regular compression accessories. 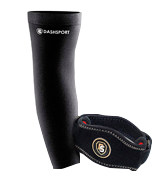 In the end, the DashSport combo kit is simply the best tennis elbow brace, thanks to high-quality materials, well-thought-out design and durability of its elements. 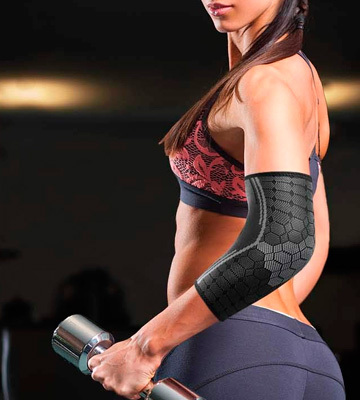 This elbow brace from Venom Sports Fitness is a highly elastic and durable piece of fitness equipment, which will make workouts and weightlifting a real breeze, especially if you are suffering from tendonitis or similar disorders. Although the overall quality of the materials and lateral stitches is fairly good (as far as sport braces go), the bright elements might need to be washed thoroughly after intensive training sessions. 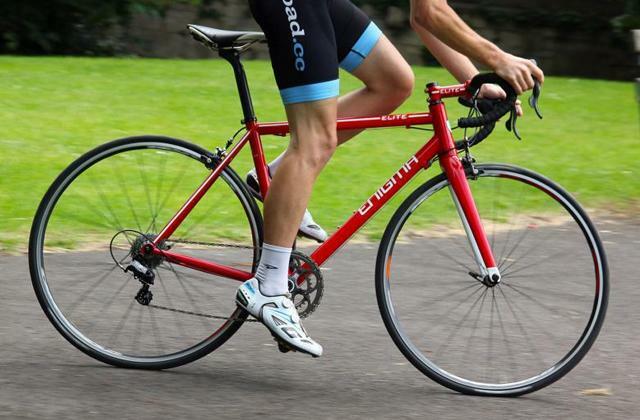 However, if you are training in a dust and dirt free environment, that won’t be a huge issue. As for the lateral stitching, the pattern is not there just for the sake of good looks. To be more specific, the stitches are made in such a way that when you adjust the elbow sleeve, it will improve the blood circulation in your arm, diminishing possible muscle strain. The available sizes for this model range from 7” to 15”, making this particular model a good choice for tennis players with small to medium arm sizes. But in case the sleeve doesn’t fit your arm - the company offers a free size replacement. 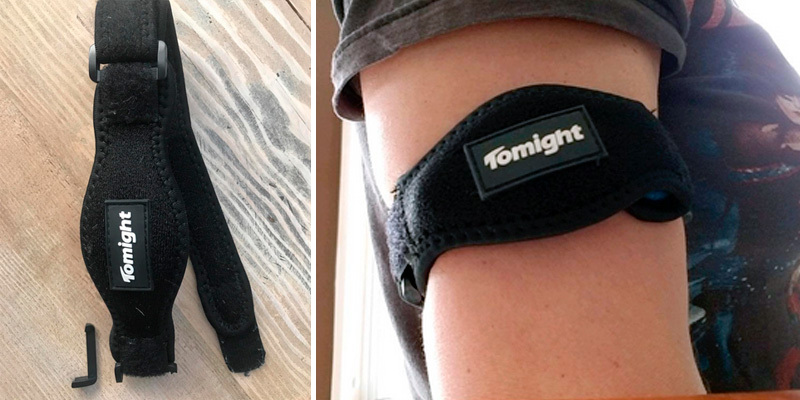 Perfect for both treatment and prevention of physical traumas this great elbow strap will be your go-to pick if you are looking for a support item that will help you rehabilitate from injuries that might occur during training. Thanks to its rather short length, this particular arm brace can be put directly on the elbow joint. 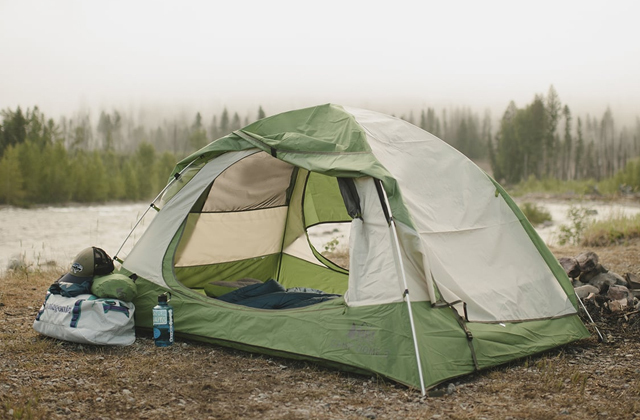 To be more specific, the available sizes include extra small (under 4.75”) as well as small, medium and large with sizes of up to 14”. The size chart alone makes this particular model one of the most versatile elbow straps available on the market today size-wise. 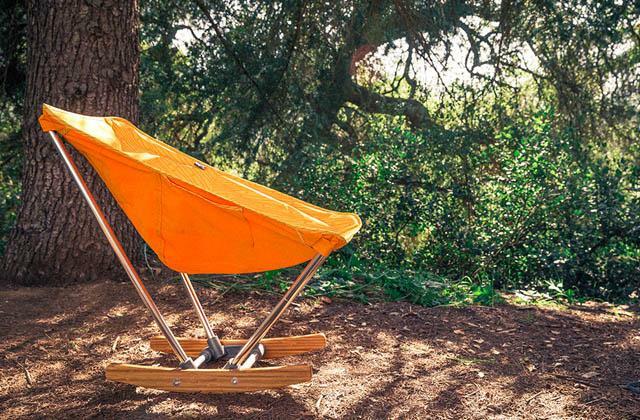 Additional features include a special, anti-slip design that will keep the sleeve firmly sitting on your elbow joint regardless of how fast you move. Special stitching of the compression support sleeve reduces the joint and muscle pain allowing you to train and run errands throughout the day. As we covered the specifications, let’s talk materials. 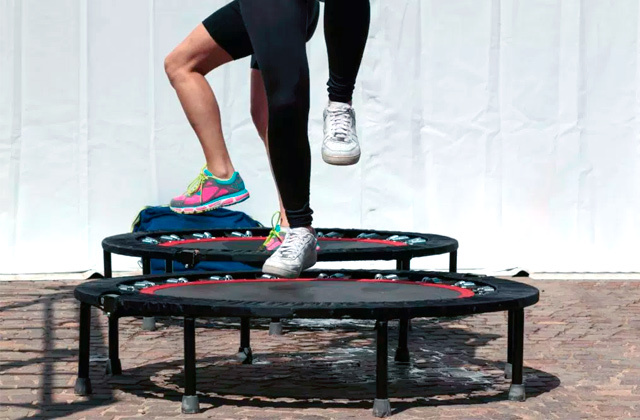 Kunto Fitness Products took all measures necessary to make your workout and training experience as comfortable as ever. Thanks to the combination of a spandex base and addition of nylon and rubber pieces the sleeve is easy to put on and adjust according to the shape of your elbow. 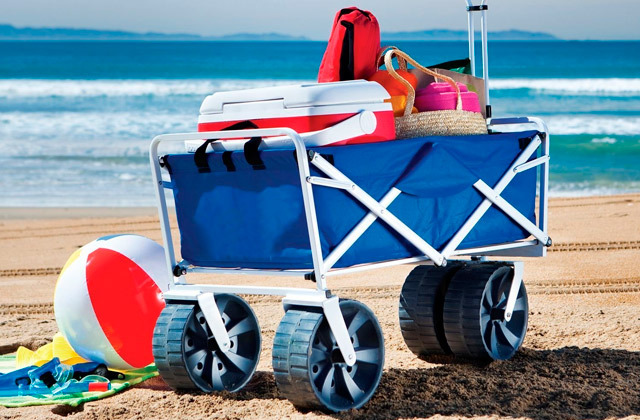 On top of that, these materials are durable and easy to wash making them ideal for sports. 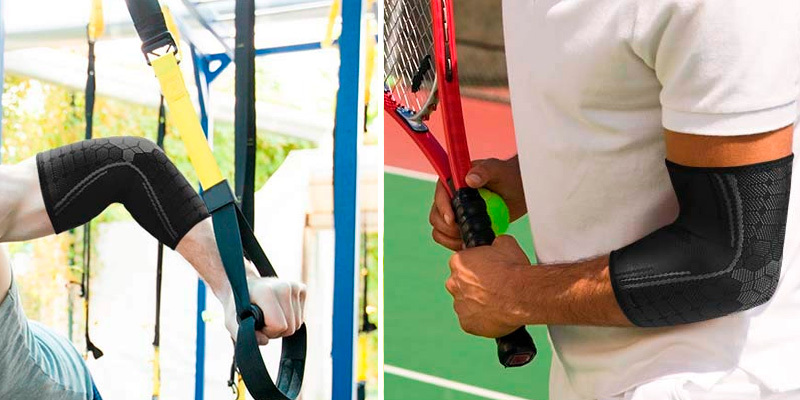 Even though the brace is durable and highly tear-resistant it is vulnerable to cuts and punctures so it is important to keep in mind, especially if you plan to use it outside the gym or tennis court. 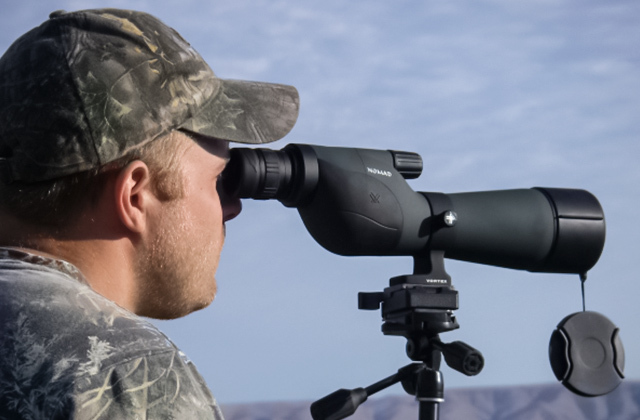 Unlike many other models that are offered on the market today, this one comes as a pair instead of a single piece. Although it makes the whole package a great deal in terms of value to quality ratio, it's not the only great thing about the sleeves. 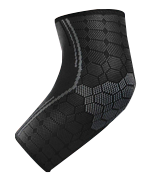 To start off, each compression sleeve has a rather elaborate stitching pattern, which is uncommon for this type of fitness accessory. The addition of latex yarn makes the stitch patterns apply the pressure to your elbow joint evenly. The only issue you may have with the sleeves is their tendency to slip down your arm. In order to avoid that, you will have to fix them on your arm above your elbow using tight nylon braces. On a brighter note, however, the combination of nylon and spandex fibers improve the thermoregulation of the muscles. As a result, your arm sweats less intensely and doesn’t tire as quickly as it would without a sleeve on. While the sleeve itself helps to manage your body temperature throughout the workout, the latex yarn stitches improve the blood circulation significantly. All things considered, this sleeve pack from Sparthos is a great budget-friendly solution that will be good for both treating and preventing arm and elbow injuries. 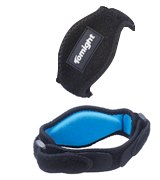 Contrary to the majority of similar products, the Tomight elbow brace features a compression pad that is made of EVA foam. This particular material is light, yet highly durable and can be easily washed making it an ideal option for sport and fitness purposes. 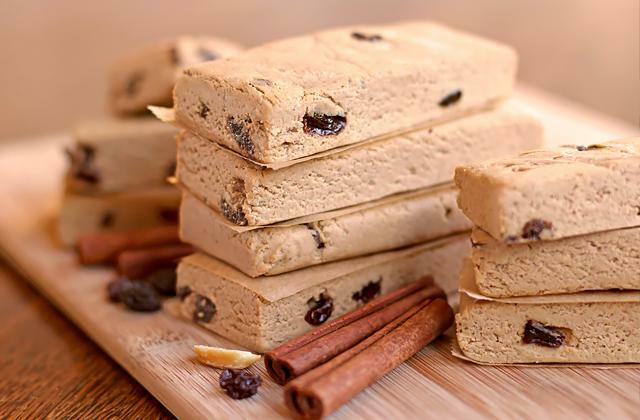 On top of that, the foam is hypoallergenic, meaning that it won’t cause any unwanted reactions. The combination of the soft to the touch EVA foam, neoprene, and polyester creates enough compression to keep your elbow and forearms in good shape, regardless of workout complexity. To prevent possible traumas of both arms, the kit is supplied with two arm braces that can be adjusted in size from 7” to 14”. 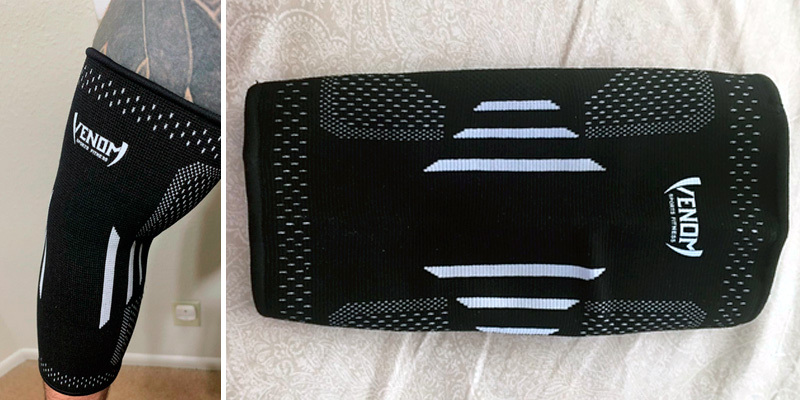 This is achieved thanks to the velcro cuffs that are featured on each elbow brace, that make it a universal piece of sports equipment for both junior and senior athletes. The double stitching of the braces, on the other hand, makes them resistant to wear and tear, which is crucial for sports that involve a lot of muscle stretching. Simple in design, yet highly effective for trauma prevention and treatment (thanks to its durable and elastic materials), this arm brace kit from Tomight will be a perfect choice for you in case you are looking for a practical model but don’t want to break the bank. 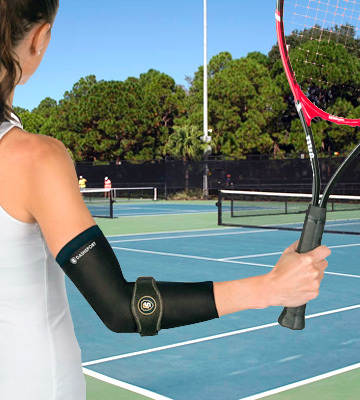 What Is a Tennis Elbow Brace? 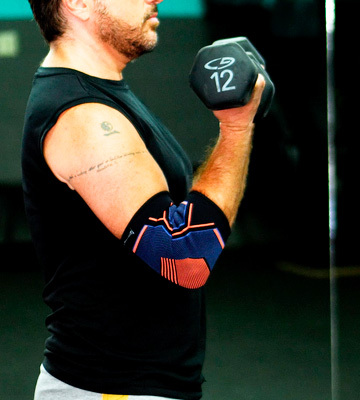 The sport elbow sleeves are usually made of neoprene, nylon, or fabrics similar to them. Although their purpose is to protect the elbow joint to prevent trauma they also can reduce elbow pain. Since tennis (as well as other kinds of sports activities) involves a lot of rapid, sudden movements to it the risk of getting an accidental injury is always present. The risk applies to your forearms, wrists, and elbows making a support brace important sports equipment if your joints are vulnerable to physical trauma. The way these sleeves work is quite simple and the method has been popular since ancient times. By applying pressure around the elbow the brace helps to prevent unwanted sprains and strains that may occur even during simple training sessions, practice, or standard fitness courses. But the usefulness doesn’t end there. Since support braces are quite effective in trauma treatment, they can be used throughout the day without any discomfort. This way you can wear the sleeve at work while driving, or at home. 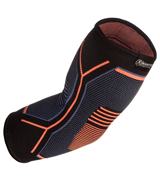 To further improve your weightlifting or fitness experience and at the same time protect your legs, you can also opt for great compression sleeves. To get your body in shape after the training session is complete we also recommend taking a quick glance at the best post workout supplements.